Find a Sun Lakes AZ real estate agent just for you! You are ready to sell or buy a home in Sun Lakes, AZ. The next step is to find a Sun Lakes AZ real estate agent who has the expertise to help you with your specific needs. You want to be able to find your dream home at an affordable price or sell your home as quickly and easily as possible. How to Find the Perfect, Sun Lakes AZ Real Estate Agent for You. Work with a professional who actually lives in the area. Who better to show you around the ins and outs of the Sun Lakes area than someone who has actually lived there for several years? A Sun Lakes real estate agent who resides in this active adult community can give you exclusive, inside tips and suggestions you won’t hear from anyone else. When do you think a particular home will go on the market? How fast do the current residents need to move out? Why are the current residents selling their home? What are the neighbors like at a particular home? When is the best time to use the private pool and spa? Who cheats at card games? There are many real estate agents in the Sun Lakes community. Why not choose one who can give you data that no one else can? Find experts with experience and a background for success. This may seem obvious, but when you want to access and buy a home before anyone else, you need to work with a Sun Lakes AZ real estate who has extensive experience and expertise in finding and buying homes in this active adult community. When looking for an expert to help you, check for reviews online and ensure that they have the appropriate licenses to do business in the area. Also, do they work with a team of expert lenders, stagers, photographers, and more? This is important when buying or selling a home. Also, check to see if they use videos, social media and other, new technology. This way, you can be the first to get information and jump on a good deal when the time is right. Look for someone you feel comfortable with. You don’t hear about this tip very often, but if you have a good, working relationship with your real estate agent, you are more likely to find your dream home, or complete the sale of your house faster and easier. By communicating freely with your expert, and feeling comfortable asking questions at any time, you can get things done faster. Your real estate agent will have a better understanding of your likes and dislikes and know exactly what you are looking for… and your budget. Plus, they can point out specific amenities, activities and options that fit your lifestyle in the Sun Lakes community and Chandler areas. Don’t Settle. Use these tips to find the right, Sun Lakes AZ real estate agent for you! Here at the Kolb Team, we live in Sun Lakes, AZ and know the community backwards and forwards. Plus, we have extensive experience and expertise buying and selling homes in the area. Obviously, we would love to help you find and purchase your dream home, or sell your house quickly. However, we want you to have these tips because it’s important to find the real estate that you feel comfortable working with. Your real estate agent needs to get to know you and have a good feel for what you want. This way, they can look for additional amenities and insights you may not be aware of in the local area. If you don’t feel comfortable working with an individual, you need to find someone else to help you. That’s the only way your real estate transaction will go smoothly. 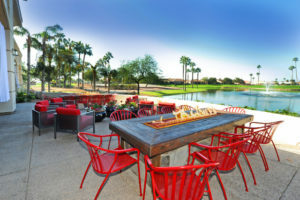 Now, if you’d like additional information on the Sun Lakes, AZ community, please contact us. We’d love to help you get all of the data you need to buy or sell a home here. It’s a wonderful place to live! Would you like help finding the right Sun Lakes AZ real estate agent for you, or would you just like to learn more about this active adult community? Please contact us here for assistance. We’re happy to help!